Studio A is the premiere professional studio in Studio 117. In Studio A, we have some of the best equipment and software you can work with as well as some of the areas most experienced recording engineers, mix engineers, mastering engineers, and producers in the area. We offer top quality audio editing, recording, mixing, and mastering services at unbeatable prices. 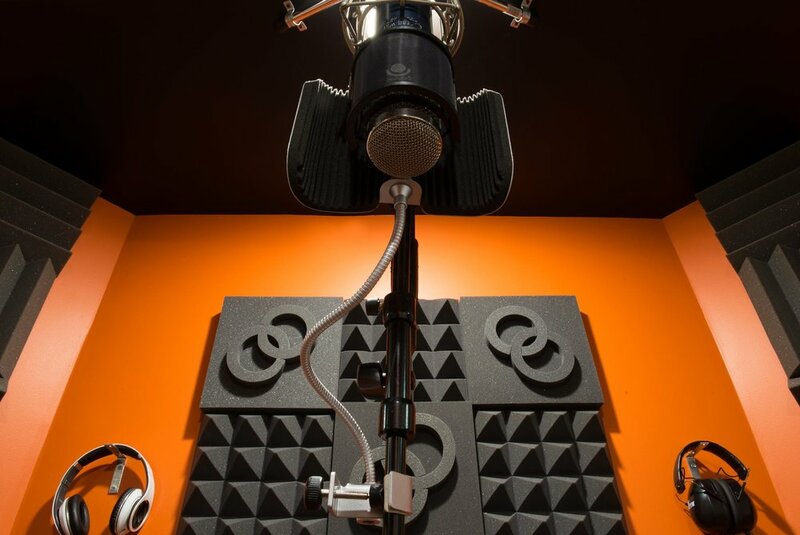 Studio A includes the following spaces: A control room, a vocal booth, a drum isolation booth, and a sound lock with access to an outside alley. Guests may also use the kitchenette and lavatory facilities in the front of the building. Logic Pro X, Waves Plugin Bundles, Fab Filter Plugin Filter Bundles, Universal Audio Plugin Bundles, Waves Bundle, PSP Audioware Bundles, Sonnox Bundle. Adam A7x's, KRK Rokit 10's, KRK Rokit 8's, KRK Rokit 10 Sub, Mackie MR8's, JBL 4208's, Shure SRH440 Headphones, KRK KNS6400 Headphones, Beats Studio Headphones.